Leading successful negotiations with sensitivity to relationship dynamics and the internal/external politics of the parties. Conducting IP dispute resolution balancing competing interests. Drafting agreements to create and exploit intellectual property whether through multi-party collaboration and alliance agreements or more traditional two-party agreements like licenses. Creating template agreements, from master collaboration contracts to inter-institutional agreements intended to maximize clients’ goals, whether a return on investment or diligence through development of the technology. Performing thorough due diligence of intellectual property assets in connection with licensing, assignment or the sale or merger of a business. Counseling on intellectual property policies, related revenue-sharing agreements, consulting agreements, invention disclosure forms and compliance with non-profit grant funding. Identifying potential licensees, managing out-licensing portfolios, and conducting intellectual property and agreement audits. Translating business goals into executable and enforceable agreements. Ms. Cox was co-counsel in representing a multinational health care company in its acquisition of a private U.S. biopharmaceutical company. The acquisition marked the first time a company has acquired a drug candidate developed with resources from NIH's National Center for Advancing Translational Sciences (NCATS) Therapeutics for Rare and Neglected Diseases (TRND) programs. Marshall, Gerstein & Borun LLP was an advisor particularly for issues of intellectual property under federal acquisition and Bayh-Dole regulations and in conducting due diligence, this unique transaction required the deal team to negotiate and optimize across a broad range of issues including government contracting, licensing, and patenting. Ms. Cox structures collaboration agreements that produce significant scientific advances. For example, she represents Orion Genomics and its affiliates in their intellectual property transactions, including a suite of agreements for collaboration on the oil palm genome between Orion and the Malaysian Palm Oil Board (MPOB), a body corporate established under the Malaysian Palm Oil Board Act 1998. The collaboration resulted in the identification of the gene responsible for the production of oil palm, and palm oil is 45% of the world’s edible oil. Diagnovus, LLC, since acquired by Aegis Sciences Corporation, launched ENGAUGE™-cancer—DLBCL assay, the first of a comprehensive line of molecular diagnostic tests for less frequent diseases. The assay, invented at Stanford University School of Medicine by Dr. Ron Levy, is based on more than 10 years of research, exceeds the standard clinical characteristics that clinicians have used for prognosis for the last three decades, and can now be routinely performed in a reproducible and accurate manner. Ms. Cox negotiated the license from Stanford on behalf of Diagnovus, and other related agreements supportive of this product line. 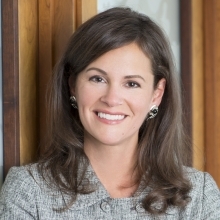 For more than a decade, Marshall Gerstein has represented MonoSol, LLC in all its intellectual property litigation, prosecution and transactional matters, including in its acquisition by Kuraray Holdings U.S.A., Inc. Ms. Cox is the primary portfolio manager and advises on day-to-day IP operations. Ms. Cox manages the Firm’s IP services for Northwestern University, including Professor Chad Mirkin’s laboratory, the most-cited chemist and nanomedicine researcher in the world, and the out-licensing of the estate. Ms. Cox structured and negotiated a highly unusual multi-year relationship between a private hospital and research institute and a state university medical system so a world-renowned expert in gene therapy, tissue engineering, and regenerative medicine could serve as a full-time tenured professor at the university and chief scientific officer of the private research institute. Many agreements, policies, and procedures had to be created to implement the vision of one lab in two locations that capitalizes on the university’s infrastructure for basic research and the private hospital and the research institute’s clinical research environment. Ms. Cox was part of the Marshall Gerstein team that successfully represented Loyola University of Chicago against MediGene AG’s challenge of the university ownership of patent rights. Ms. Cox also negotiated Loyola's out-license with GlaxoSmithKline which now manufactures and sells Cervarix® (Human papillomavirus bivalent vaccine, recombinant), protection against Type 16 and Type 18 of the HPV virus that causes 70% of cervical cancers. Partnering first with ICOS Corporation, now CMC ICOS, Ms. Cox continues to advise on intellectual and tangible property in Chinese hamster EF-1 alpha regulatory DNA (CHEF1); providing guidance in connection with evolving business models over the life-cycle of the dozens of issued patents prosecuted by Marshall Gerstein’s biotech group. Before joining Marshall Gerstein, Ms. Cox was a client of the Firm as the associate director of technology transfer for Indiana University's Advanced Research and Technology Institute. There, she was responsible for managing and licensing the eight-campus patent portfolio. Ms. Cox was also in-house in regulatory and clinical affairs at DePuy Inc., a Johnson & Johnson Company. "Action Items: Implementing Bayh-Dole Act Updates," Marshall Gerstein Alert, May 14, 2018. "Front Row: IP Licensing Dispute Mock Mediation," AUTM Annual Meeting, February 20, 2018. "The Future of Technology Transfer," Intellectual Asset Management, January/February 2018. "Orientation and Speed Mentoring for New Members & First Time Attendees," LES Annual Meeting, October 22, 2017. "Term Sheets – Deal Savers or Just Time Stealers," AUTM Central Region Meeting, July 10, 2017.